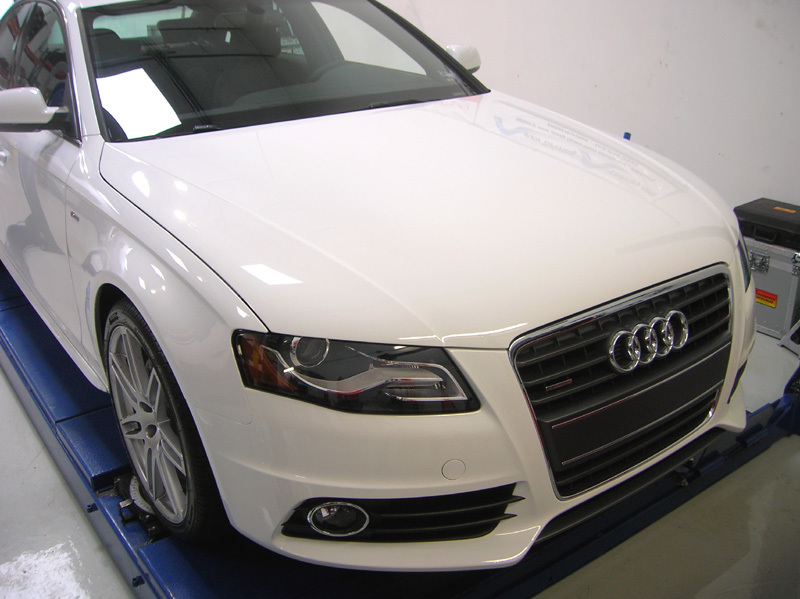 This 2010 Audi A4 S-Line was special order exactly how the owner wanted it. When he had his delivery date, we scheduled the application of our Level Three Paint Protection package for the following day. We covered the full front bumper, lower side splitters, front portion the hood (to well behind the headlights), matching front fender pieces and even the side view mirrors! Clearly protected now!